I have been in a rather deep phase of recent months. I see hidden meanings in EVERYTHING. I see lessons in everything. Even the smallest of things. Yesterday, we spent ages doing a jigsaw, and there was a piece missing. A hole that needed to be filled. I immediately thought "just like life"! Just like real life - when you're lucky - we found it! The trick then is to rejoice! Yeahhhhh! 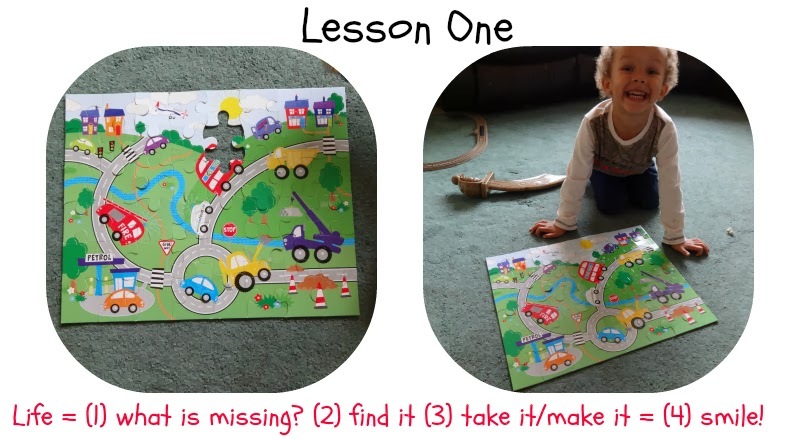 So lesson one in my new series is find out what's missing, and then find it! Life is just like a jigsaw, right? It is true! Problem solving is essential to many aspects of life.